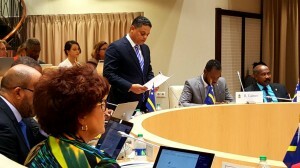 WILLEMSTAD - The parliament of Curaçao adopted a motion on Tuesday evening after a long meeting calling on Venezuela to lift the border blockade. On January 5, Venezuela closed the border with Curaçao, Aruba and Bonaire. According to the government in Caracas, the islands of the Dutch Kingdom should do more to stop the smuggling from Venezuela of gold and copper. The government in Willemstad says that much more is now being done against smuggling. The parliament thinks that the blockade has now lasted long enough. According to the people's representatives, the economic and social relations between the countries must be restored.